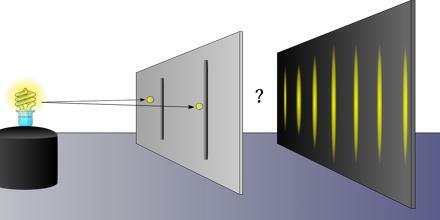 Double-Slit Experiment belongs to a general class of “double path” experiments, in which a wave is split into two separate waves that later combine into a single wave. It is an experiment in Quantum Physics in which the effects were shown by Thomas Young way back in 1803, but since has been proven even more strange by many others. It’s power truly reveals a mind-altering view of the world and how we affect it. It displays the fundamentally probabilistic nature of quantum mechanical phenomena.